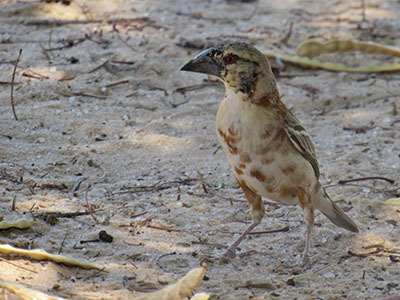 A male Chestnut Weaver in moult was seen in Nossob campsite by Lynette Nel. The first record for the species was in 2011, followed by annual records until 2014, and then a gap until this receent record, being the 8th. The table below shows all reported records. Previous report on Chestnut Weaver records in South Africa here.